JSerra Lions produced top times at the Trinity League Swimming Championships, held at the Santa Margarita Aquatics Complex. Lion swimmers broke seven varsity Trinity League records in the finals, won 10 League titles and qualified four swimmers to the All- American automatic times, seven All-American consideration times, 17 CIF automatic times, 13 CIF consideration times and 88 seasonal best times during the season’s dual meet and championship competetions. Varsity freshman Katie McLaughlin (200 free, 100 fly) and Kaitlyn Albertoli (50 free, 100 free) earned the co-swimmers of the year following their performances, which included breaking two league records each in addition to helping smash two league relay records along with teammates Rebecca Millard and Karli Thuen in the 200 free and 400 free relays. Brittany Kahn added to the record tally in the 500 free. The varsity girls placed second in the league behind the much larger Santa Margarita team. This is the highest placing for the Lions in their short seven-year history. The JSerra Lions are seeded first in both the 200 free and 400 free relays going into CIF Division l prelims on Thursday, May 10, at the Riverside Community College Aquatics Center. McLaughlin is also seeded first in the 200 free and 100 fly. Six additional top ten seedings include Albertoli (50, 100 free), Millard (50 free), Thuen (200 IM, 500 free) and Kahn (500 free). Other qualifiers include Millard (100 free), Kahn (200 IM), Sam Miller (100 back), the girls 200 medley relay team including relay only swimmers Haley Sherburne, Jessie Joyner, and Maggie Beyer and boys 200 medley relay team including relay only swimmers Troy Kaltenbach, Will Giovinazzo, and Dan Lopes. 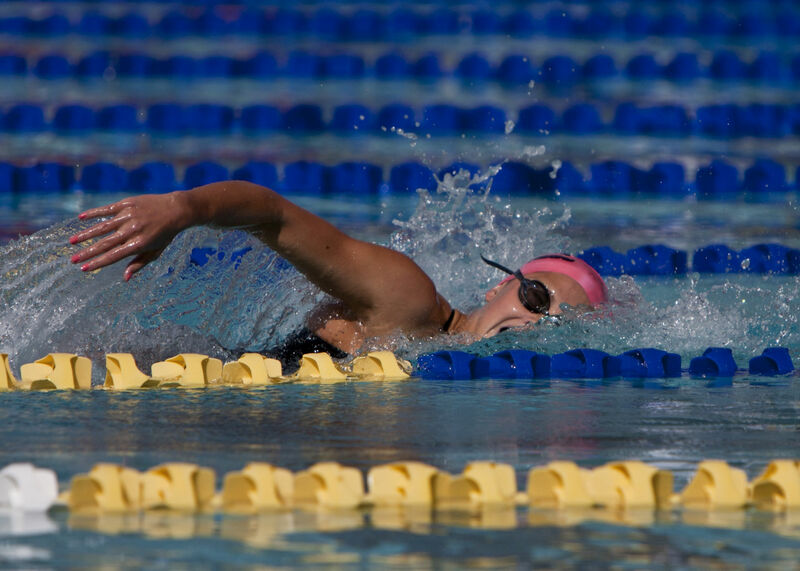 For more on JSerra swimming click here. To read the Patch.com article click here.